Not sure what's causing this but the text always looks wrong. I'm using Glide64. I was told Conker runs better with that. But I was running into this glitch with the default plugin, too. This basically always happens to me with Project 64, regardless of the game, regardless of the version, regardless of the settings. I've been a casual/semi-serious emulator user for several years now. Just so you guys know this is a long-standing issue/the o.p is not alone in this. You wouldn't happen to know how to fix it then, would you? Try GLideN64 (i hardly use it, so idk if it fixes this). If that doesn't work, then the only solution is Angrylion's RDP. This is a graphics plugin issue . I was already using Glide. Angrylion's RDP fixed the text issue but it made the image super fuzzy. You will find the dll in the folder named zilmar. Fuzziness is gone and text is mostly fixed. It's still kinda doing it but it's less noticeable. But now I'm seeing some weird lines popping up between certain objects. 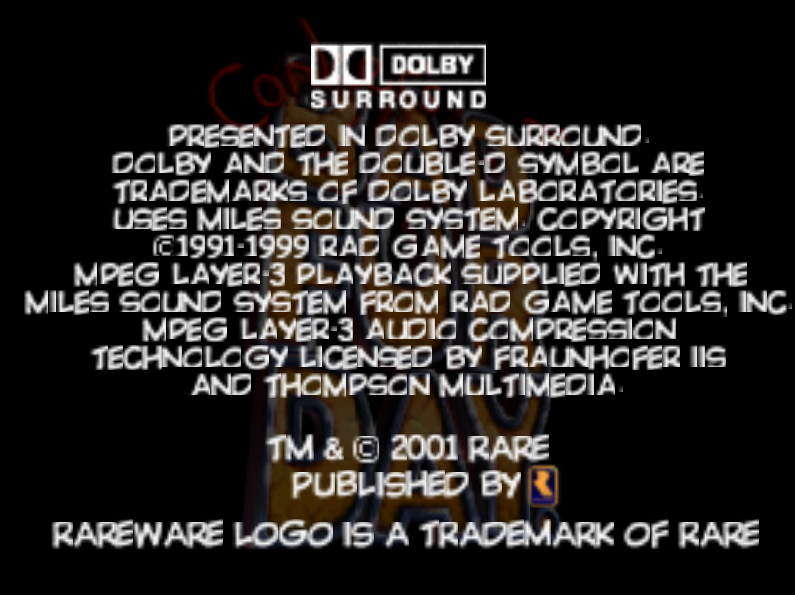 There's a big line on the N64 logo that appears before Conker even finishes cutting through it. I'm guessing this is the best I'm going to get though.